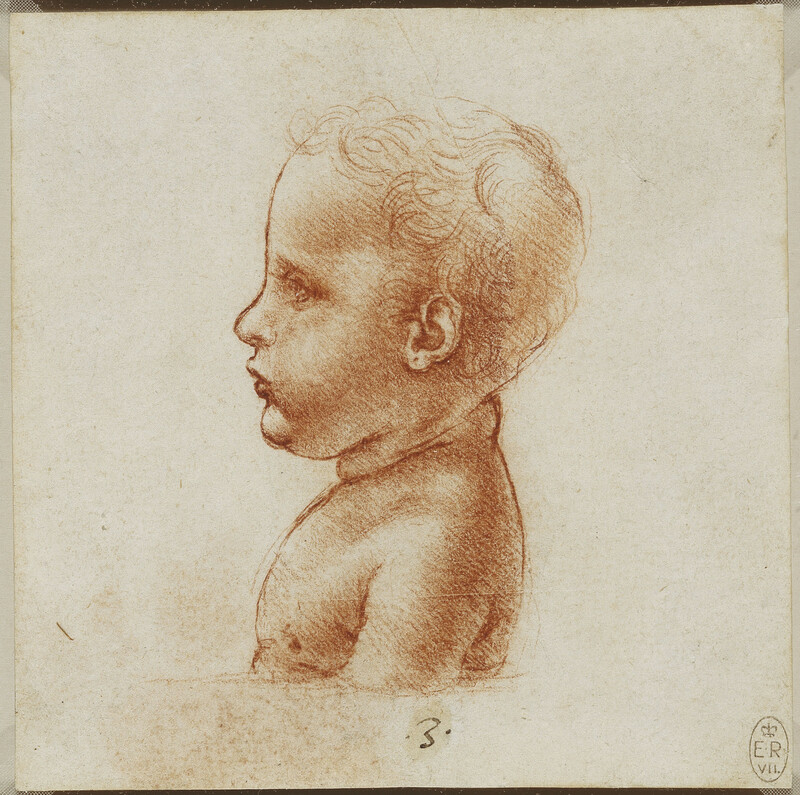 This delicate profile of the head and shoulders of a child terminates at a clear horizontal line; on another drawing (RCIN 912567) Leonardo studies the chest and back of a child, terminating at the same line. These are probably therefore studies for a terracotta bust, most likely intended to represent the Christ Child or Infant Baptist – common in children’s nurseries during the Renaissance. A terracotta bust of the Christ Child was described by one of Leonardo’s early biographers, but no such bust by Leonardo survives. Melzi's 3.